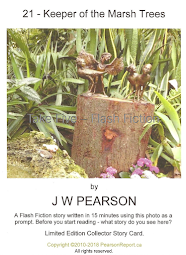 No part of this blog, Pearson Report, may be reproduced, for personal or public use, either in written or electronic form, without permission from the owner, Jenny Pearson. Click on any link and it will take you directly to that post. V is for VELL, VAT DO YOU VANT? W is for WELL, WHAT DO YOU WANT? I gave this year a miss due to renovating my house. U is for Utterly Understandable… back by request. The above in an active link to my 2012 posts, show as one final story. PLEASE NOTE - 2012 WEEKLY POSTS ARE CURRENTLY DISABLED.